The later 1950s and early 1960s saw the development and proliferation of radically new forms of dance driven by a desire to understand the essentiality of movement divorced from traditional, balletic and modern syntaxes. At the forefront of this new wave of performance was Simone Forti, an artist with a hand in both improvisational techniques and choreographed task-maneuvers. 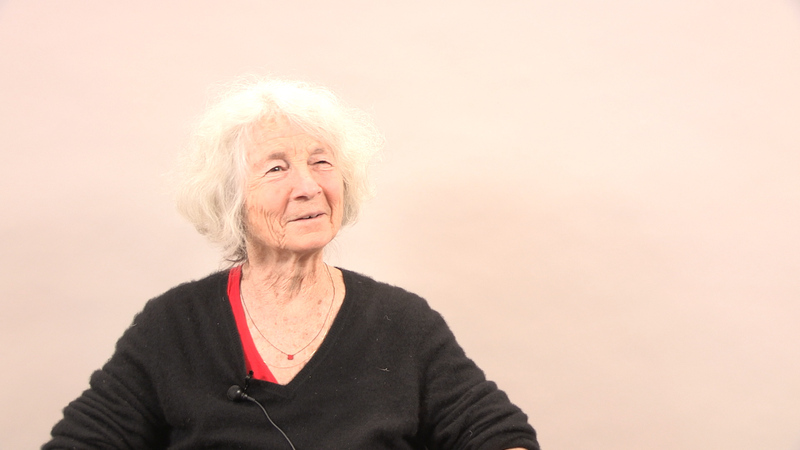 This interview details her exploration of each – with a particular focus on her earliest investigations into movement, owing to time spent under the study of Anna Halprin. Crucial to Forti’s career was Halprin’s concept of “experiential anatomy” – wherein a scientific understanding of bio-organic motor-systems, particularly those of the human’s, was complemented and furthered by the close observation of those systems at work. Movement, and by extension, dance, for Forti then became a way of knowing the action and structure of things. And with these actions and structures understood, the scripting of tasks could then be formulated; hence Forti’s possibly most well known work Dance Constructions. This series of pieces consisted in the performance of mundane and simple maneuvers like climbing up a sloped plane. With emphasis shifted from away energetic or climatic sequence, the bare body in motion could be foregrounded. However, the human body was not the only inspiration for Forti, as she recounts, even the games of animals in captivity provided her new frames of reference for thinking through movement. And even now, almost 60 years into her career, Forti still performs – demonstrating a singular passion for dance and artistic creation in general. Interview conducted in 2014 by artist Hannah Verrill.